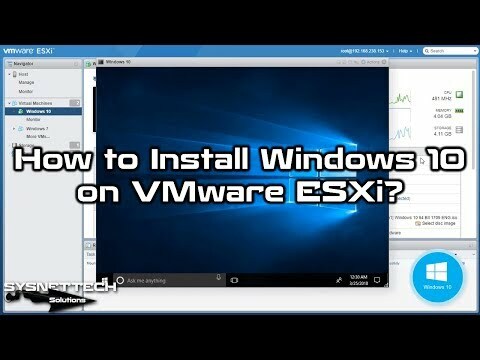 This video shows you how to install Windows 10 on VMware vSphere ESXi 6.7U2. Step 1: If you did not install vSphere before, please refer to the following video. Step 2: After you have installed vSphere 6.7, create a new VM for the Windows 10 operating system. Step 3: After you have created a new VM on server, add the Microsoft Win 10 image file to the virtual machine. Step 4: After installing Windows operating system on vSphere, you need to setup VMware Tools. Step 5: For VMware Tools setup for Win 10 virtual machine, click Actions and then Guest OS / Install VMware Tools. Step 6: Restart the virtual machine after installing VM Tools. Step 7: Watch the video for the remaining steps.